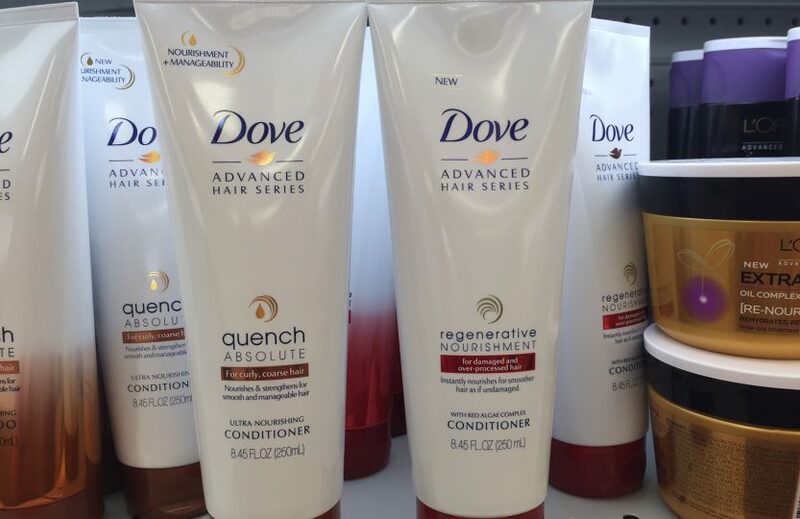 Both the Dove Quench Absolute Conditioner and Dove Regenerative Nourishment Conditioner have very similar ingredients, and also have the same reason I’m not recommending them. Four lines down for the right conditioner and five lines down for the Regenerative Nourishment conditioner, they both of them have potassium chloride, which is a salt. It’s sort of okay (but not great) in a product you rinse out. But since for the tightly curly method I use conditioners to do many things, including helping define and weigh down curls, I leave them in. Therefore, because of the salt, I can’t recommend these products.